We know, finding the right Halloween costume can at times feel overwhelming, even futile. Like searching the sands of an overcrowded beach for a single walking stick, or seeking discarded binoculars at an enormous amusement park. Fear not, friend! We’re here to help. 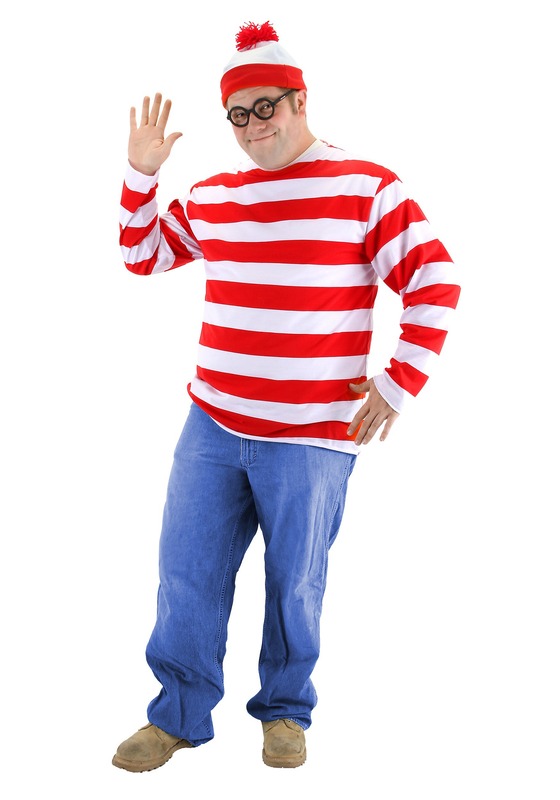 Have you considered dressing as Waldo, the most beloved and infamous wanderer around? Then you can solve your costume woes and create a look that allows you to slink away from any awkward small talk you may encounter, leaving folks to assume you’re just “in character” and setting the stage for your next scene. In this Plus Size Where's Waldo Costume, your friends get to feel elated and relive their childhood thrill each and every time they “find” you at the party, whether at the punch bowl or on the dance floor. Not to mention, when you’re dressed at this iconic cartoon, people will follow you around, finding anything you happen to leave behind. Left your scarf on the couch? No need to return for it, someone will recognize it. Misplaced your snorkel (the one you never leave the house without?) It’s bound to be brought to you by an adoring fan. This getup is so simple, it only requires that you to slip into the red-and-white striped long-sleeved shirt, don Waldo’s well-known and matching tasseled knit cap, and throw on a good set of walking shoes (brown lace-ups work best). After that, the world is your oyster, so pack up your Halloween stress, stuff it down into your backpack, and hit the road whistling all the way to the party, proud to have finally found the perfect costume for you.